The seismic political scandal surrounding South Korea’s President Park Geun-hye and her friend Choi Soon-sil has inspired a remarkable piece of bilingual wordplay in the form of a satirical poem in Classical Chinese which, when read in Korea’s traditional hanja readings, results in a poem in Korean with a different meaning. The text, which originally appeared on Korea University’s 대나무숲 Daenamusup (meaning ‘bamboo forest’) Facebook page (a forum for anonymous submissions from students), consists of five-character lines, following a popular form of Classical Chinese poetry.  I have presented it below first in Chinese characters, then in the Korean alphabet hangul according to the hanja readings, then in the Revised Romanization of Korean in grey italics, the Yale romanization of Korean, and then the pronunciation in the International Phonetic Alphabet according to the Pronouncer convention. 그 어찌 남에게 도움을 받을 수 있으리오? How could one receive help from others? 게으른 됨됨이는 베어내어 쫓아내어라. Cut out and cast away the lazy nature. 미리 서로 모의하여 고개 숙여 아부한다. So, in advance they conspire and flatter with heads bowed. 모든 장정과 선비가 모여드는구나 All the strong men and scholars gather. 근혜(槿惠)가 결국(結局) 해내시었다. 나라 꼴이 참 잘 돌아간다. 이 정도(程度)일 준(줄은) 예상(豫想) 못 했다. 파고 또 파도 계속(繼續) 나오네. 무당 순실(順實)이 사(四) 년(年) 분탕(焚蕩)질. 대한민국(大韓民國)은 제정(祭政) 사회(社會)다.
Geunhye-ga gyeolguk haenaesieotda. Nara kkol-i cham jal doraganda. I jeongdo-il jun (jul-eun) yesang mot haetda. Pago tto pado gyesok naone. Mudang sunsil-i sa nyeon buntangjil. Daehanmin’guk-eun jejeong sahoe-da. Kunhyey-ka kyelkwuk haynaysiessta. Nala kkol-i cham cal tolakanta. I cengto-ilq cwu’n (cwul-un) yeysang mot hayssta. Phako tto phato kyeysok naoney. Mwutang Swunsil-i sa nyen pwunthangcil. Tayhanminkwuk-un ceyceng sahoy-ta. This type of bilingual wordplay is not new. Kim Satgat (김삿갓, byname of Kim Byeong-yeon 김병연 金炳淵, 1807–1863), famous for his satirical poems, has a series of couplets attributed to him, beginning with 天長去無執 花老蝶不來 천장거무집 화로접불래 cheonjanggeomujip hwarojeopbullae (‘The sky is so high that one could go up and not grasp it / as the flower withers, butterflies do not come‘), which sounds like 천장 거미집 화로 겻불내 cheonjang geomijip hwaro gyeotbullae (‘On the ceiling, spiderwebs / from the brazier, smell of fire made with hulls of rice‘).